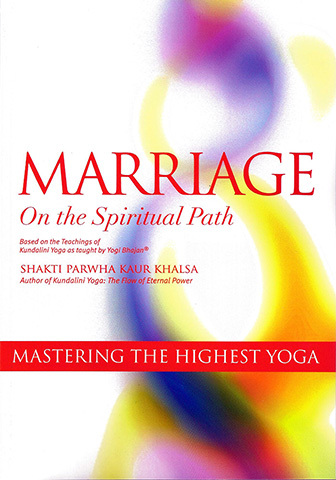 With Marriage on the Spiritual Path, Shakti Parwha has put together a "must read" manual for singles and couples. Here's a practical guide to understanding and achieving a successful spiritual marriage while keeping up with the demands of daily living in the 21st Century. Statistics show relationships and marriage these days are one disaster after another. People are suffering and miserable, disappointed and often feeling betrayed. Marriage, divorce, marriage, divorce - like being caught in a revolving door - people are going around in self-defeating circles. 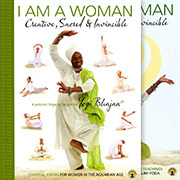 The principles that Yogi Bhajan taught can empower us to change the pattern. We can transform ourselves and, as we change, the people around us change too. Yogi Bhajan not only revealed ancient yogic techniques, but also gave practical day-to-day advice - that really works.